In digital inclusion work, we often stress the importance of digital inclusion to things such as education, financial stability and economic mobility, and career advancement. 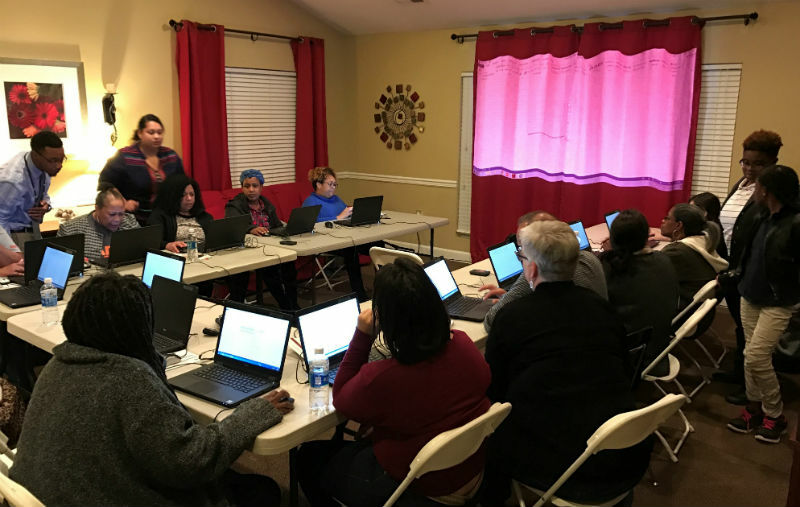 As a Digital Inclusion Fellow at the Charlotte Mecklenburg Housing Partnership, I’ve seen firsthand another perk to digital inclusion: community building. In addition to connecting participants with the vast online communities that exist across a variety of social media platforms, digital inclusion programming can also build capacity in neighborhoods and foster a stronger sense of community. Digital inclusion builds capacity of neighborhood leaders who acquire new digital literacy skills, devices, or internet access. 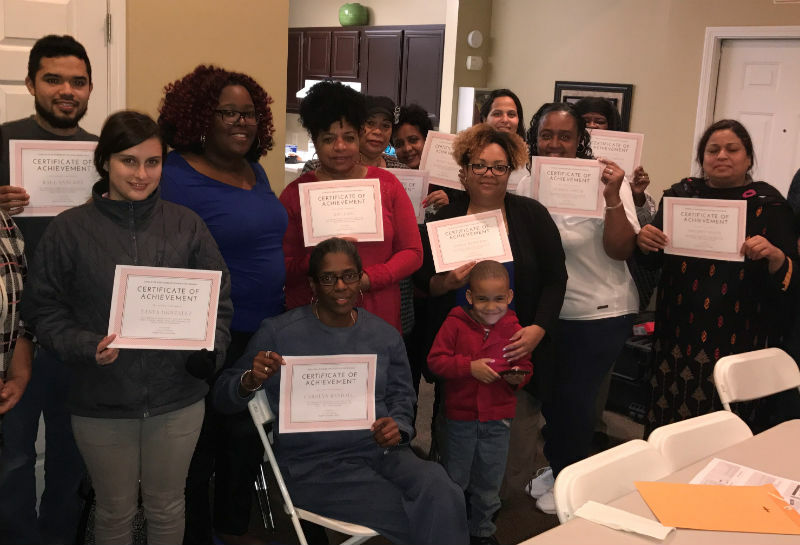 Classes teach community members how to harness the power of digital resources to leverage assets and engage the community through online organizing. At the Housing Partnership, we’ve developed classes specifically designed to support neighborhood leaders who want to leverage technology for local impact. Participants show off their certificates. We’ve all probably heard a grandparent complain about the lack of interaction between neighbors; oh the good ol’ days! But digital inclusion programs can also strengthen relationships between neighbors. When marketed to a specific community and located in the heart of the neighborhood, the classes attract local residents. In a laid-back, fun learning environment, conversations bubble up. Be prepared to witness neighbors, who start the class as strangers, become friends! As they move through the class together, students support one another, laugh together, and begin to build relationships that are key to fostering an engaged community. 1. 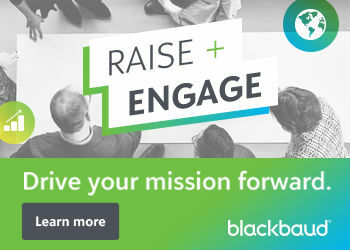 Tap a neighborhood resident to help recruit class participants. While marketing a class at an apartment complex for seniors, I noticed two ladies who were always busy doing some sort of fun activity in the community room, which they playfully referred to as “their office.” These ladies turned out to be my secret weapon. They easily recruited neighbors, as they were familiar (and persuasive!) friendly faces. Once a resident is on board with your program it can help build trust with other residents in the neighborhood. 2. Hold classes in a convenient location. Many of our classes are held right in the community room of various apartment complexes. People literally do not need to leave their homes to attend the class (okay, maybe their apartment unit, technically, but still!). The community rooms are not always the ideal setup logistically (note the curtains served as a makeshift projector screen), but it’s a small trade-off for a favorable turnout. Neighborhood churches, recreation centers, or community centers are other good options. 3. Cover topics that support community organizing. While many students need computer basics to make the most use of other programs, building up to more advanced topics that support neighborhood efforts can be an exciting incentive. Incorporating tools like NextDoor, Google Voice, Canva, and other tools that make community outreach more efficient may reinvigorate community leaders or motivate new ones. 4. Encourage students to support one another throughout the class(es). It is important to stress all the knowledge that is in the room beyond just the instructors. I often encourage students to help their neighbors if they get stuck. I have found that this creates a laid-back environment where students can laugh and feel comfortable when they are just a tad (or a lot) lost. Offering a class that runs for multiple days instead of one long session also makes a difference. It builds camaraderie amongst a cohort. Taking time out of the last class to incorporate a community dinner or celebratory cupcakes builds social time into the class where participants can chat in a casual setting. When we hand out certificates during the final class, each student receives a genuine round of applause from their neighbors. I’ve been told that our digital literacy classes have made “taking out the trash and picking up the mail more pleasant,” which is a start! Caché Owens is a passionate community organizer and PhD student at the University of North Carolina at Charlotte. As a researcher with the Charlotte Action Research Project, Caché has focused on participatory action research rooted in neighborhood organizing, coalition building, and social justice. To support this research, Caché has worked in partnership with neighborhoods on a variety of complex issues, all exacerbated by the digital divide. Although a Wisconsin native, Caché has come to view Charlotte as home sweet home.